I see that the inside signage dubs this a Self Service Center, but we always called them Automated Post Offices, and there were only two in Columbia that I know of. 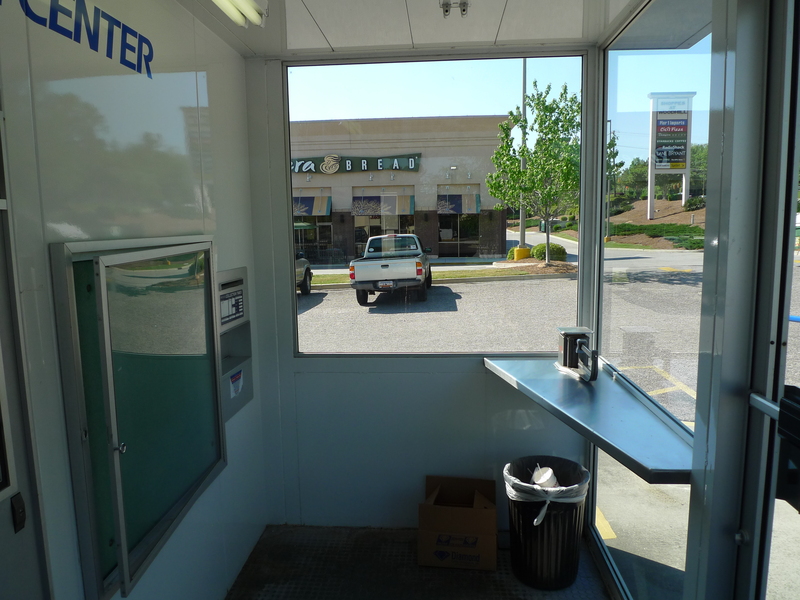 The first was in the old Richland Mall parking lot on the Beltline side. I remember it as being fairly high up in the parking lot (which sloped downhill from Beltline to the mall proper) and in-between Russell Stover and the old theater. It was something of a big deal when it opened though I'm not entirely sure why. My main memory of it is that after I started driving, my sister and I were in the parking lot near the APO when across the lot another young guy very theatrically decided to become a maniac behind the wheel and play "chicken" with us. He was being a goof-ball with no intention to play "for real" and all three of us were cracking up. This APO dates, I believe, back to the original Woodhill Mall and thus opened a number of years after the one at Richland Mall (Woodhill Mall being built much later). 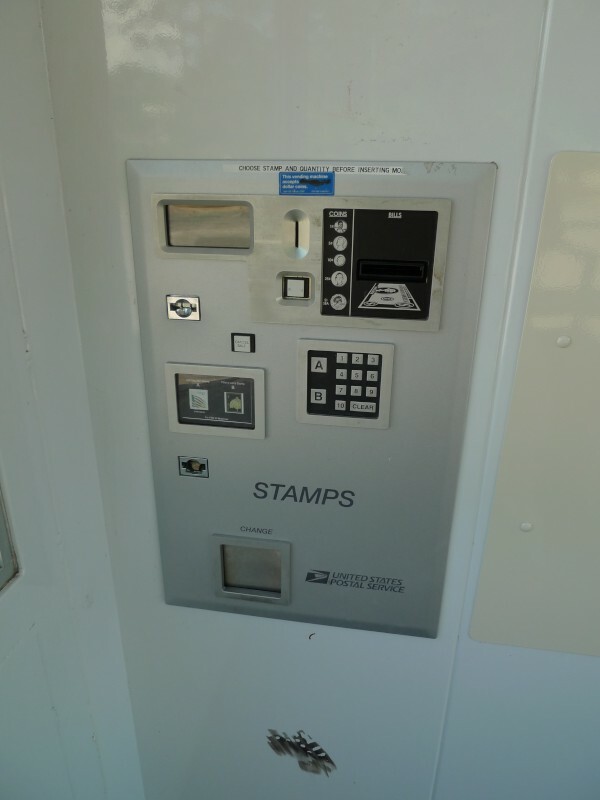 When I was taking pictures for my Woodhill post, I decided that I had better get a number of the APO since it was looking rather threadbare, and since it had the kind of stamp machines that they have been phasing out of Post Offices for several years now. That was back in April. I am pretty sure that I ate at Panera at least once in December and would have noticed if the APO was gone then. I certainly did notice the absence when I ate lunch there today, and got the second set of pictures of the empty site. I also noticed that across the parking lot the self-storage facility behind Jimmy Johns was flying a Post Office banner, so I guess some sort of facility or Contract Post Office over there has replaced this one. Bonus question: What are the lights across the top of the stamp machine trying to spell out? I remember this and the one at Richland Mall well. Have you done a write up about the Russell stover? No, I've mentioned it several times, but I keep thinking I'll run across an old newspaper ad or something to hang the post on since the building is gone. I suppose I ought to check for it in the old Yellow Pages next time I go to the library.. This no doubt is part of the USPS's consolidation efforts to reduce costs. 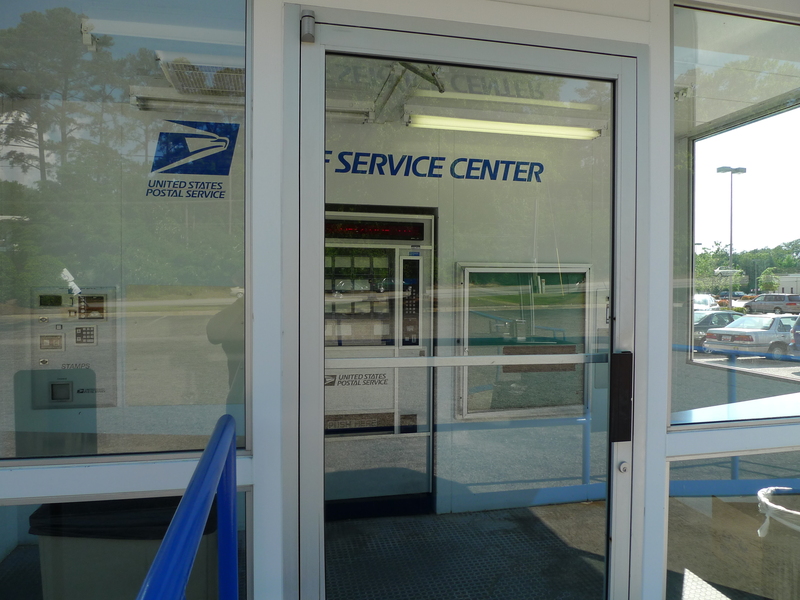 If you go out to the Broad River Road area, near SLED and the Harbison State Forest, they closed a USPS facility that was a whole lot newer than the one they kept open. 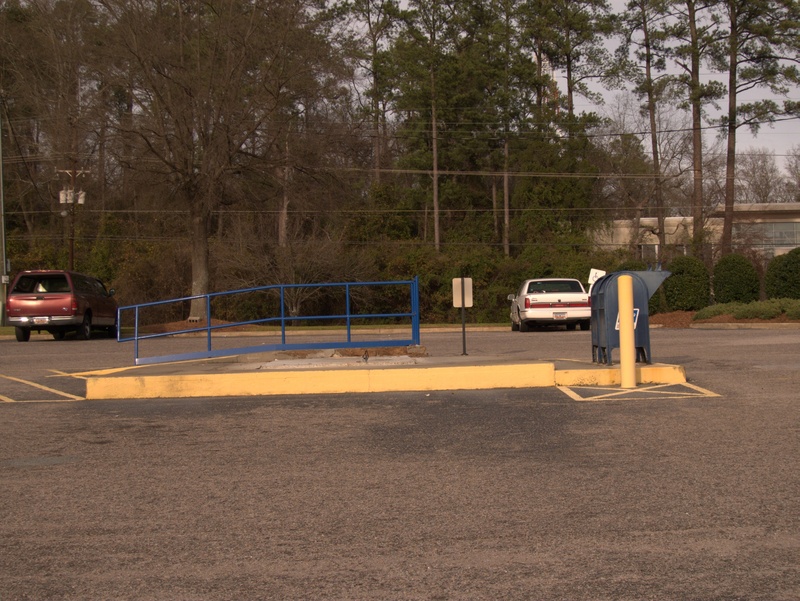 Just to add to Jason's comment, there was a USPS auxiliary post office in a strip near Broad River Rd and Kennerly next to the Dollar General just about across the street from the Goodwill donation center. That USPS location is now closed. 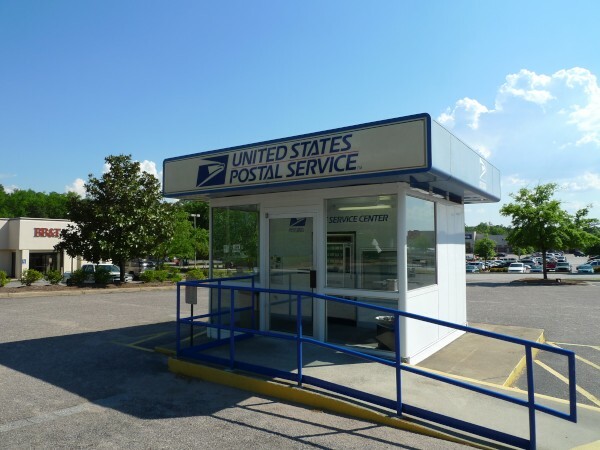 It was nice to have it vs. waiting 30 minutes at the main Irmo post office to do something simple like send a large envelope while other folks were there to mail live farm animals, hand grenades, chemicals, etc. all while the desk is staffed with 1.5 highly distracted USPS employees who constantly have to leave to "go get something from the back" because USPS can't set clerks up properly with everything they need. Great post, Mitch! I had no idea the one by the Dollar General closed, although I did not know it was even there until about a month ago. The Irmo PO is notoriously slow, but delivery is shoddy, at best as well. Just this morning I had to stop at a neighbor's house (on another street, but same street #) to deliver mail to them. I remember the one by SLED never really being open often. Yeah, I went to send something on Jan. 20. It is closed with signs in the windows and in the drive-up window. I thought the USPS facility by SLED (actually by Harbison State Forest and across from DJJ) was a distribution center with drop boxes outside and only PO boxes inside. There was no customer service desk. I learned this while finding something, anything to do but dealing with the Irmo PO. It's a time saver to drive downtown from Irmo to the main Columbia PO on Assembly St if I absolutely positively cannot use Fedex. 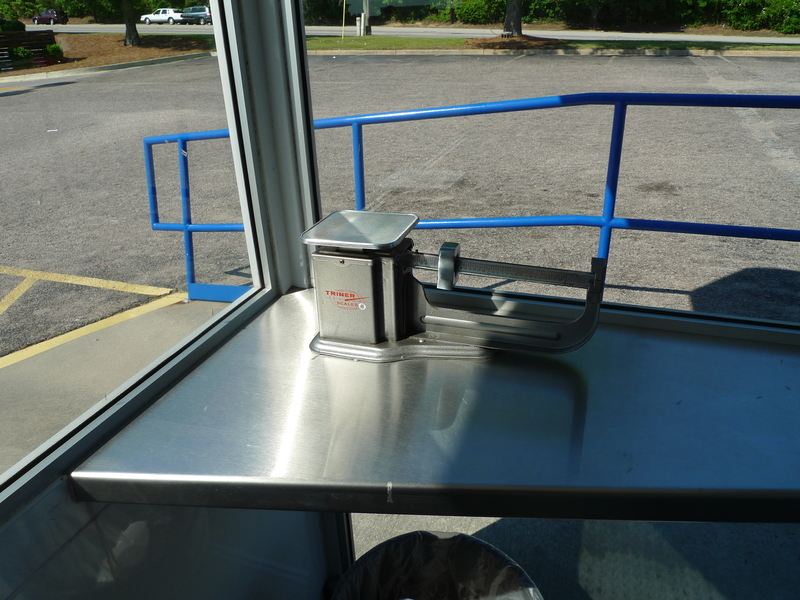 It's a shame we lost the live USPS customer service desk by Dollar General there by the Goodwill on Broad River Rd. It was great for the run-in, run-out trips. The strip it was in was one of those that didn't face the street and few saw the USPS office at the far end. The strip is built perpendicular to Broad River Rd. Folks saw the sign and thought it was one of those unstaffed locations. It was staffed by a nice lady who spent the entire day on a cell phone with a personal call. 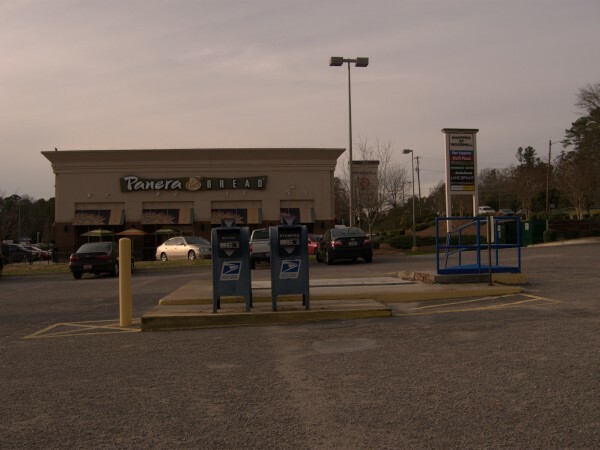 I think it was an incarnation of the contract post office that had once been in the strip with Food Lion and next to Jersey Mikes at Broad River and Kennerly. Mitch, the people at the Platt Springs Road PO are very quick and rofessional, if that might save you some time. There is also one on Broad River, behind Aaron's Furniture, so you don't have to go all the way down to Assembly in a fix. 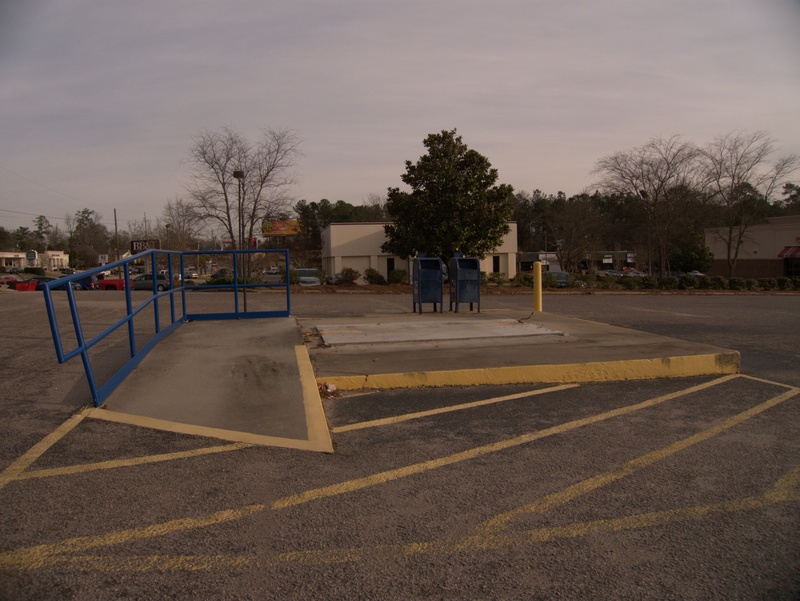 FYI -- There is a full service USPO just across the parking lot from this cement slab where the automated one was at Woodhill. It's actually a "contract" post office, whatever that means, but they can do everything USPS does and for the same price (unlike some of these private PO places that mark up everything). It's in the storage/fitness building. Closes at 6, tho. I liked the automated places because you could mail stuff in the middle of the night. That may be part of the reason they are all closing up -- homeland security. 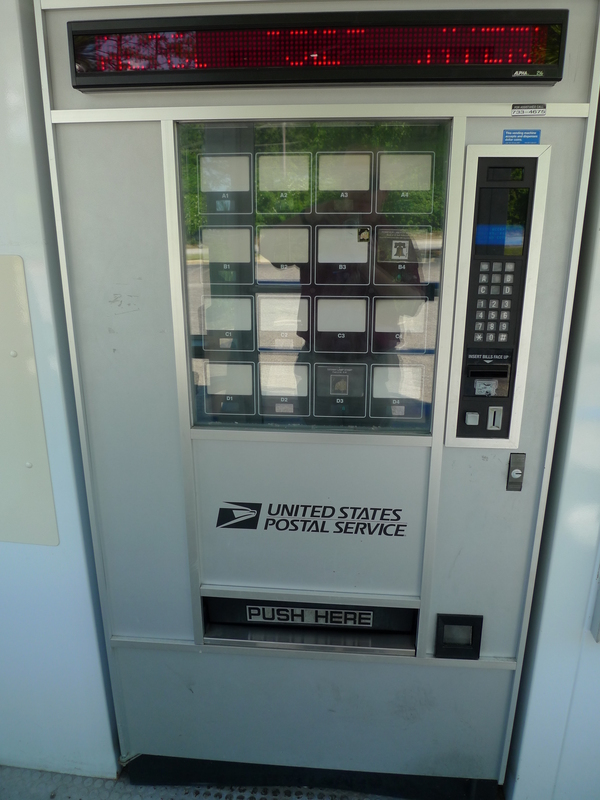 USPS is closing the automated stations and taking out all the machines because USPS believes that they are too expensive to maintain. I think they've made some bad decisions on closings and hours, as well. The Lady Street postal station that delivers the mail to my office is open only 10-2 or something like that, which means when we get registered letters, I have to make a special trip to pick them up, because it is closed by the time I get to the office most days. I'd much rather use a machine than stand in line for hours to buy a single stamp. Yeah, I think I recall reading that somewhere. It always struck me as ridiculous. Surely the cost of selling stuff through a vending machine must be less than through a clerk. Especially considering that if the stamp-buyer went to the machine, the clerk could take in more higher margin items like insured packages and whatnot. Also, the machines were great when you wanted to buy a stamped envelop at 2am to get a check in the mail without going home or to a 7-11 to buy a whole box of envelopes. (And they gave Susies in change which was nice since you could always give away a few to kids at Christmas). At least you can still get books of stamps at most grocery stores. Ted, you are right. I always thought the machines would be cheaper than clerks, too. I don't understand how making it more difficult to use your service increases sales and revenue. Heck with Fedex, they not only pick up your correspondence, you can bill it to your account and drop it off at any number of locations. Ok folks the blue boxes at this location appear to be no longer when I went by this afternoon. There appears to be a trend towards fewer and fewer of the freestanding 'blue box' locations. 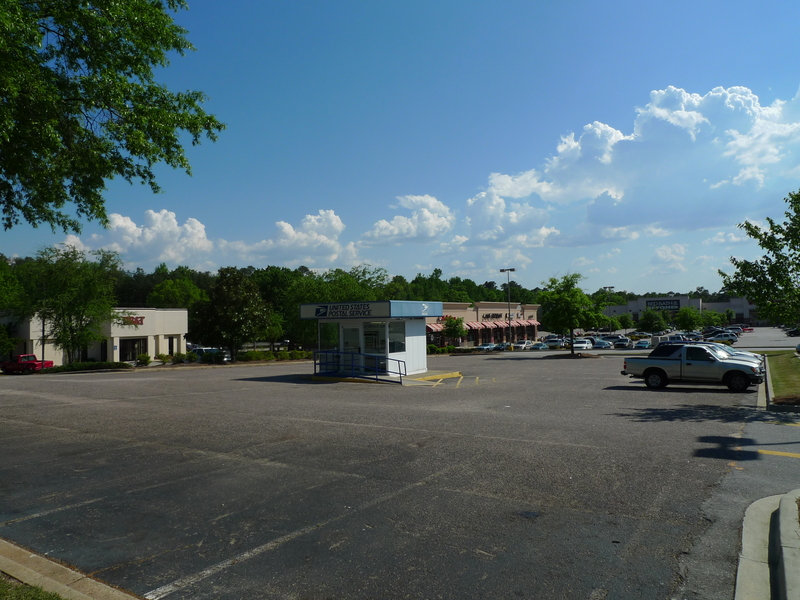 The locations at Seven Oaks Shopping Center (6169 St. Andrews Road; Anchored by Kmart and Big Lots) used to have 3, now it's down to one. St. Andrews Shopping Center (ancored by Fred's, Babcock and Ladies Choice Fitness) used to have 3, now they only have one. Several other locations around are in similar situations but I can't think of them offhand at the moment. 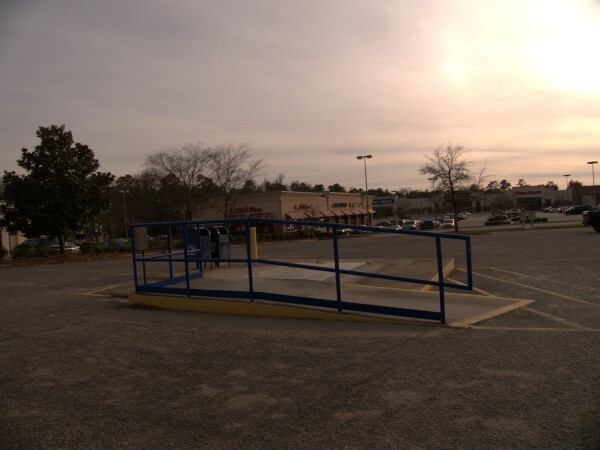 I can think of several other locations that used to have blue boxes that don't anymore such as Kroger (817 St. Andrews Road), Broad River Centre (Broad River & Arrowood) and Columbiana Station between Publix and Party City are some of the locations. Several downtown street corners no longer have blue boxes, either. 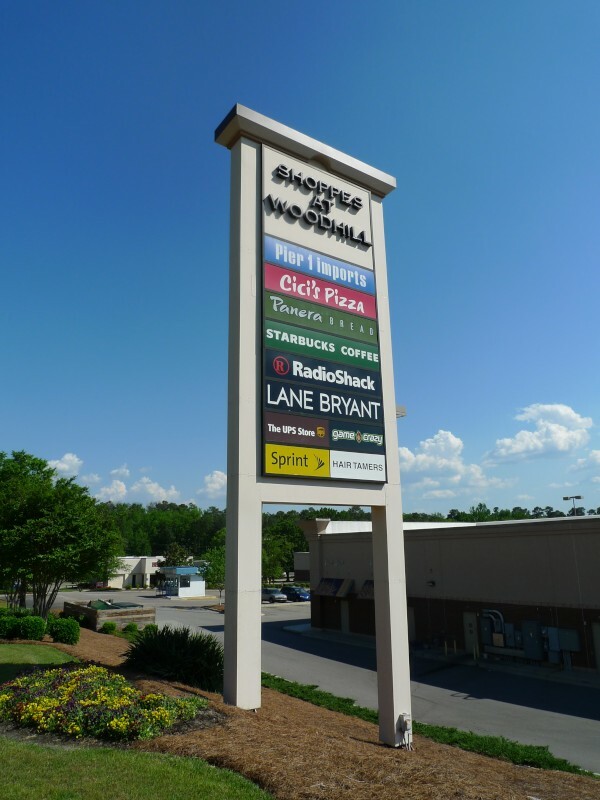 I used both the locations at the old Richland strip mall and the Woodhill mall. Mostly it was just to get stamps. With these closed I then went to the machines at the USPS center on Garner's Ferry Road. They've taken the machines out of there now so your only choice is to wait in line there for a live person or be overcharged buying stamps somewhere else.